. . . the high-energy dinner show at Pioneer Hall at Disney’s Fort Wilderness Resort and Campground was created in the heyday of dinner theaters for Walt Disney World guests with a summer college intern cast. The foot-stompin’, hand-clappin’ musical starred six young actors and offered endless buckets of fried chicken and ribs. Today one member of the original cast from the college program still works for Disney–Marilyn Kay Magness, who played the part of Dolly Drew. She’s executive creative director, Disney Parks, Creative Entertainment. As that first summer ended and guests were clamoring for more, Walt Disney World Entertainment already was auditioning a full-time cast, and Hoop-Dee-Doo Musical Revue opened as a permanent show on September 5, 1974. Today it’s one of the country’s longest-running dinner shows and has presented more than 37,000 performances. 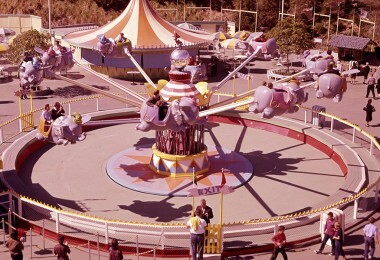 More than 10.5 million guests have seen the high-spirited show. In true Disney fashion, Walt Disney Imagineers designed Pioneer Hall in authentic Wild West style with 1,283 hand-fitted pine logs from Montana and 70 tons of stones from North Carolina to re-create a look from the late 1800s. The building opened April 1, 1974. Themed entertainment is always part of the Disney story. 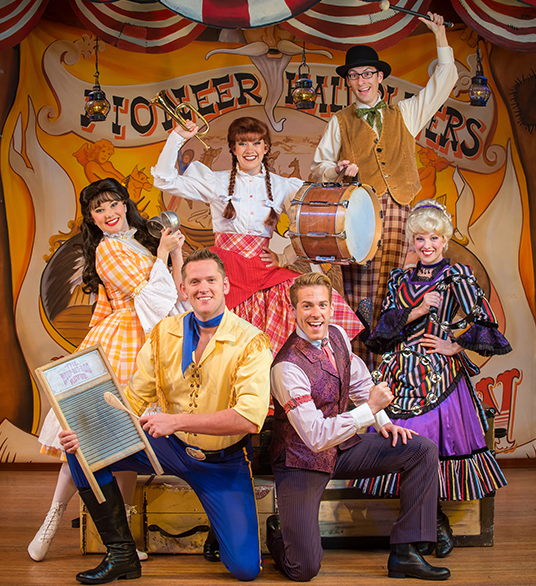 While Hoop-Dee-Doo Musical Revue was being written and cast, a group of country-western musicians called The Star-Spangled Washboard Band opened in Pioneer Hall, according to a historical timeline by Larry Billman, author/writer and Disney entertainment consultant, who was the author and writer of the original show. 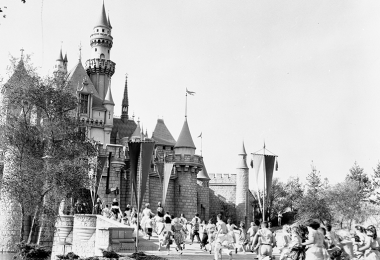 Bob Jani, the director of Entertainment for both Disneyland Resort and Walt Disney World Resort, saw the potential for a “dinner theater show” and hired Billman. 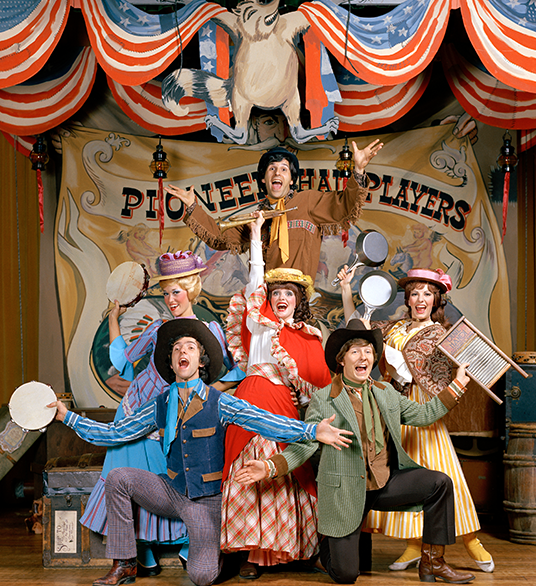 After multiple rewrites (the first version was called “We’re With You, Mother McCree!”), Hoop-Dee-Doo Musical Revue was born. 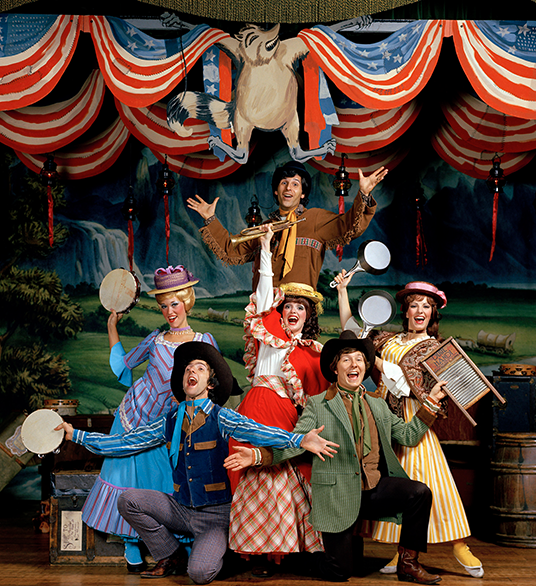 Students from the Disney World Fine Arts College Workshop program, an 11-week work experience program, auditioned for the three female and three male character performers in Hoop-Dee-Doo: Six Bits Slocum and Dolly Drew (comic relief), Jim Handy and Flora Long (the singers), and Johnny Ringo and Claire de Lune (the dancers). 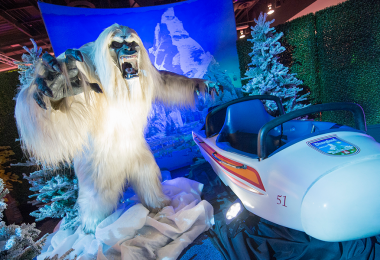 “The college students sent us video auditions, and we had more than 600 applicants,” said Forrest Bahruth, show director, Disney Parks & Resorts Creative Entertainment. The cast arrived at Walt Disney World Resort in early June for quick rehearsals, and the show opened on June 30, 1974. 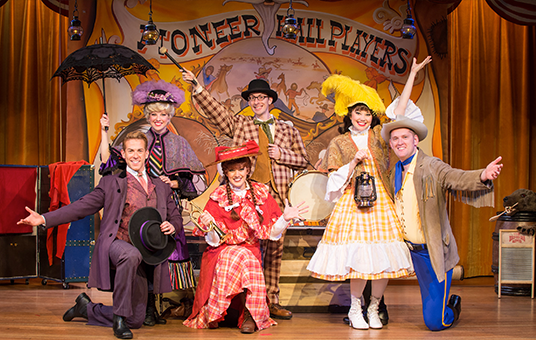 Through the decades, the show saw some small revisions to songs and dance numbers, but the basic premise—a Wild West show in an old-timey music hall with a romantic leading lady and man—always remained as the guests clapped, stomped their feet, and sang along, all the while sharing an all-American dinner around a communal, “please pass the cornbread” table. 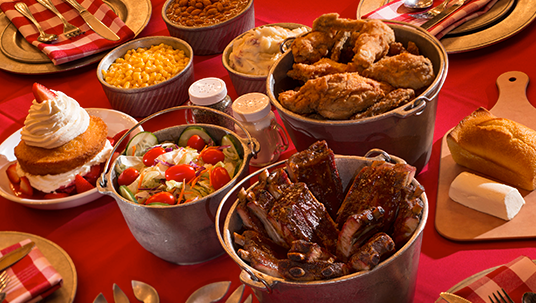 There’s been just one change to the Hoop-Dee-Doo menu since 1974–the strawberry shortcake for dessert. When the show opened it served apple pie, but changed to shortcake in 1979. Today, servers dish up about 900 pounds of fried chicken every night, and cooks spend about six hours each day just breading the chicken. Add 400 pounds of pork ribs, slow cooked starting at 11 a.m. daily on a big outdoor smoker. For sides, there are 120 pounds of corn, 400 pounds of potatoes to be mashed, and 30 gallons of baked beans. It takes 15 gallons of strawberries and 12 gallons of whipped cream to make dessert. Servers are part of the show, happily slamming all-you-care-to-eat buckets of ribs and chicken on the tables as they sing and dance their way through the dining room. Beer, wine, sangria, and soft drinks are part of the menu.